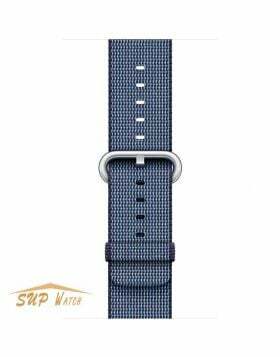 - This new milanese loop Apple Watch Band 38mm / 42mm /40 mm / 44mm crafted with premium stainless steel materials, magnetic metal buckle, because the buckle fully magnetic, it is infinitely adjustable, ensuring a perfect fit. Designed for ultimate comfort and constantly on the move. - Strong Magnetic Clasp, steady and secure!No problem for most sports. 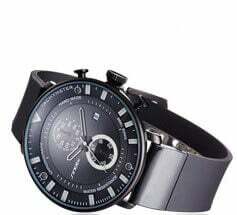 No worry about loosing your Apple watch. 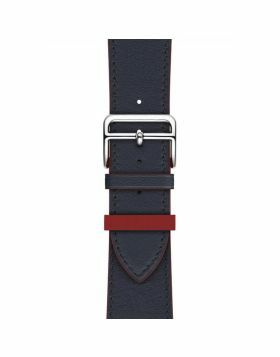 - Stylish and attractive color makes this Apple watch band look fantastic with your Apple Watch giving a nice professional look on any occasion. 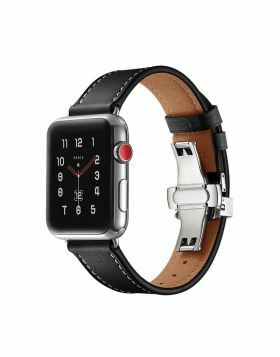 - Long-lasting, smooth stainless steel Apple watch band sits nicely and feels light on the wrist. - Apple Watch® is a trademark of Apple, Inc.
Step1: Wipe the Milanese Loop band clean with a nonabrasive, lint-free cloth. If necessary, lightly dampen the cloth with fresh water. We do not recommend using any type of soap, toothpaste or other abrasive material as that can affect anodized coating (affecting the color of the band). Step2: If you used a damp cloth to clean, make sure you dry the band (with a different nonabrasive, lint-free cloth). Due to the difficulty of reaching all parts of this watch band with a cloth, we recommend also leaving the band to air dry. Question: Does this milanese loop band match my new gold apple watch 4? Answer: The color matches exactly. 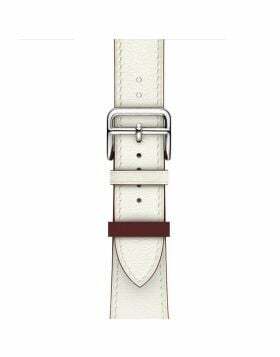 The stainless steel iwatch band really beautiful! Question: How durable is the gold finish?